With a little under a month until the Galaxy S10 lineup is officially unveiled, it's not surprising that we're seeing more and more leaks. 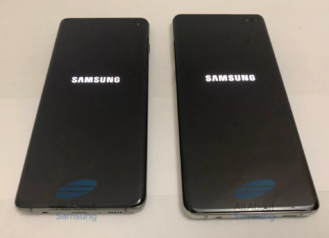 About a week ago, an employee's phone was spotted being used on the bus, and we just saw a photo of an S10 with an apparent "Blockchain KeyStore" yesterday. 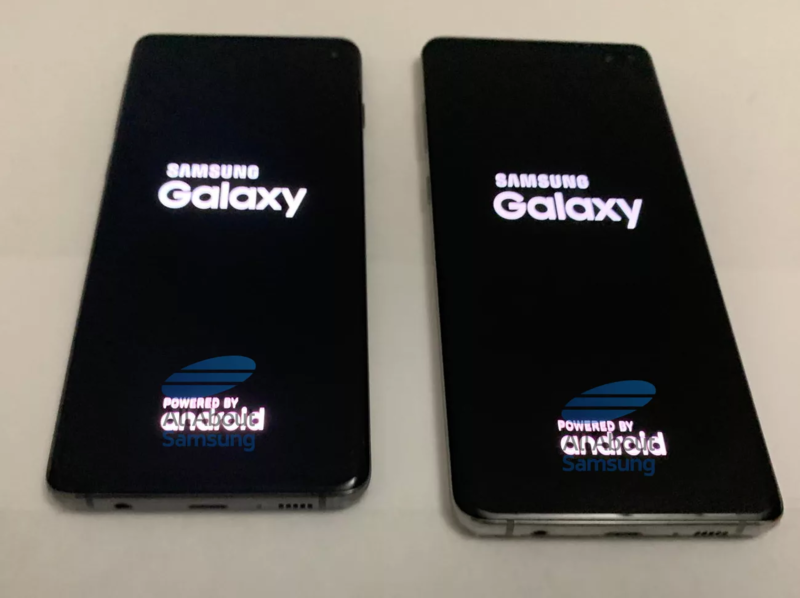 However, today's leak is the most comprehensive, showcasing all angles of both the S10 and S10+. 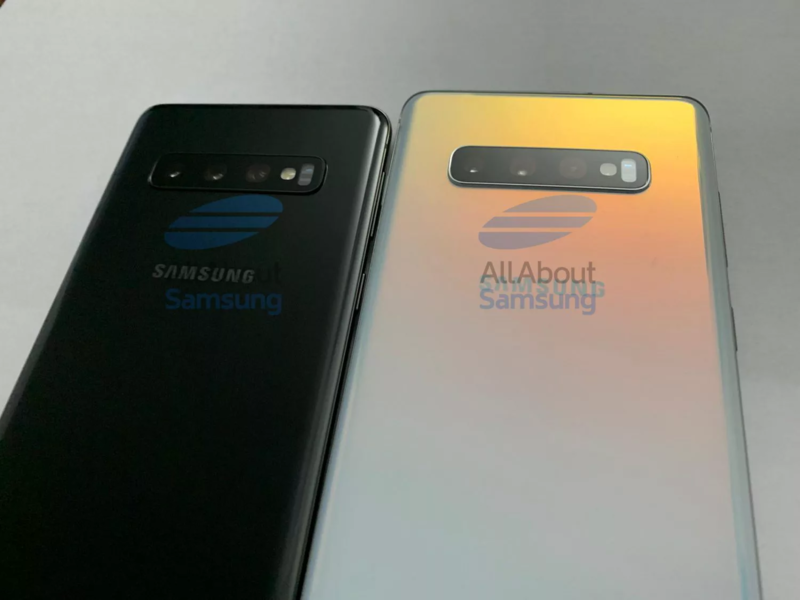 The first thing all of you are undoubtedly noticing about the phones is the hole-punch design. 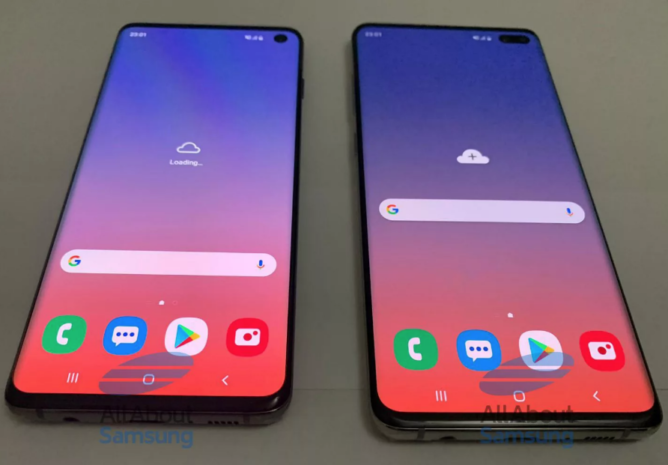 It looks like the S10 will have one front-facing camera, while the larger S10+ will have two. The icons and navigation buttons match what we've seen on Samsung's One UI betas, which isn't really a surprise. We've seen a tiny earpiece in previous leaks; these pictures are just too dark to see them. Out back, both devices appear to have a whopping three cameras arranged in a rather unsightly module. 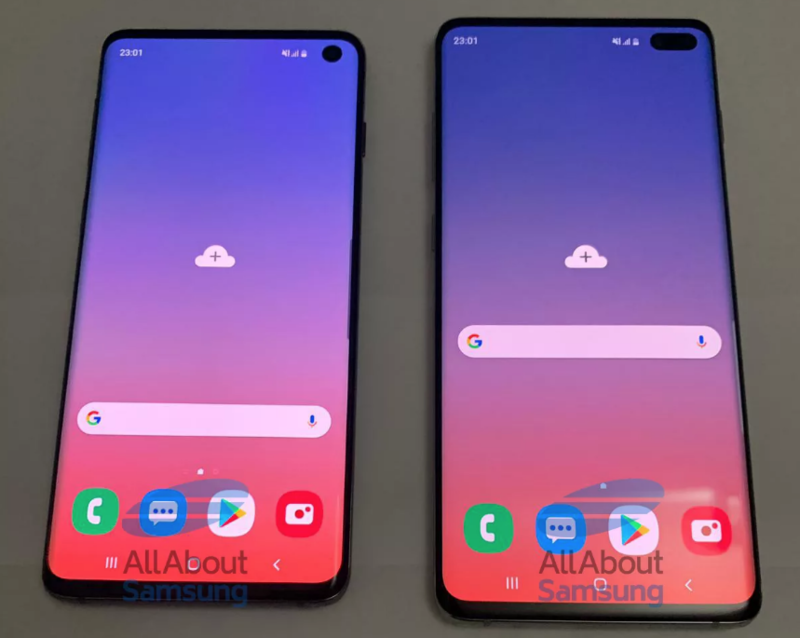 It's surprising that even the smaller S10 has three cameras, given that the S9+ has two cameras compared to the S9's single camera. Note that there's no fingerprint sensor back here, so an in-display fingerprint sensor seems likely. 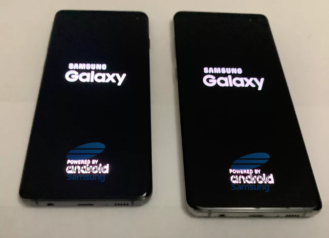 On the bottom, we can see that both phones still have 3.5mm headphone jacks. Samsung is one of the few OEMs that has retained the headphone jack, and it looks like that's not going to change anytime soon. There's also a USB Type-C port (of course) and a speaker grill. 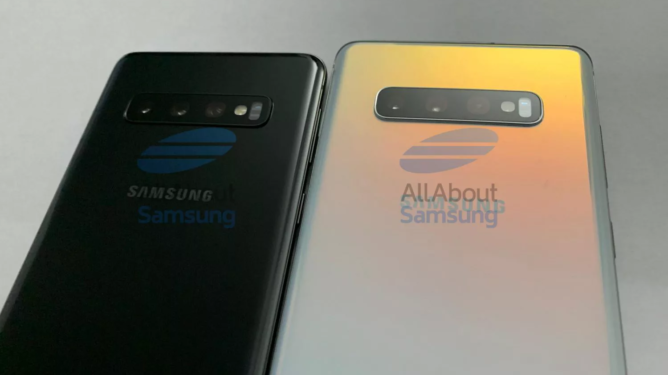 The Galaxy S10 line will be unveiled in San Francisco on February 20th, which is less than a month away. Personally, I'm just curious to see what that Blockchain KeyStore is.